Chanoyu is literally translated as “hot water for tea,” called Japanese tea ceremony in English. This simple act of hospitality is the result of an almost five hundred year old tradition of social and aesthetic communion that is central to Japanese culture. Those who follow Chado, The Way of Tea, continually deepen their understanding and refine their skills at creating a memorable moment in time, “Ichigo Ichie”, for their guests. The host, with a pure heart, follows the principles of Wa, Kei, Sei, and Jaku - Harmony, Respect, Purity and Tranquility, and fosters a deep appreciation of nature and the arts. Chado is not a religion, but is influenced by Zen Buddhism, Shinto, Taoism, Confucianism and Christianity. The practice of Chado has both mental and physical benefits. 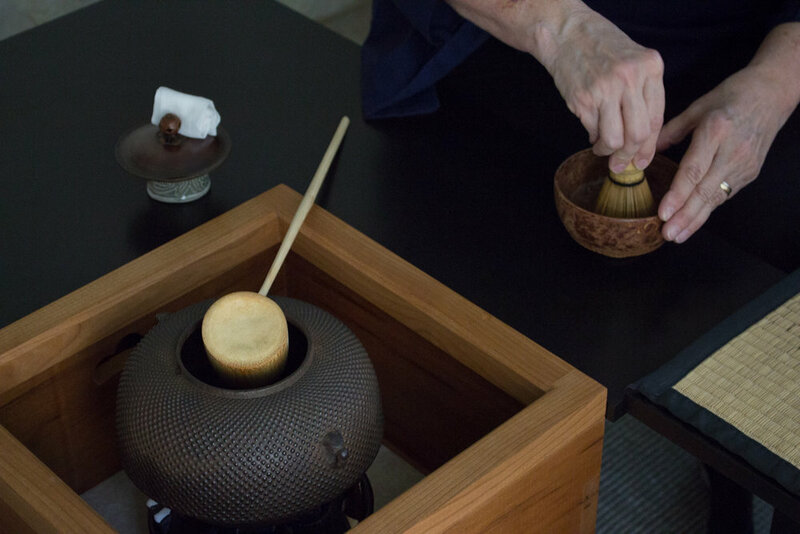 The meditative pace and focus on the moment increases awareness and learning the variety of temae (tea procedures) exercises memory. Matcha also provides healthy antioxidants and gentle, long-lasting stimulation from caffeine.